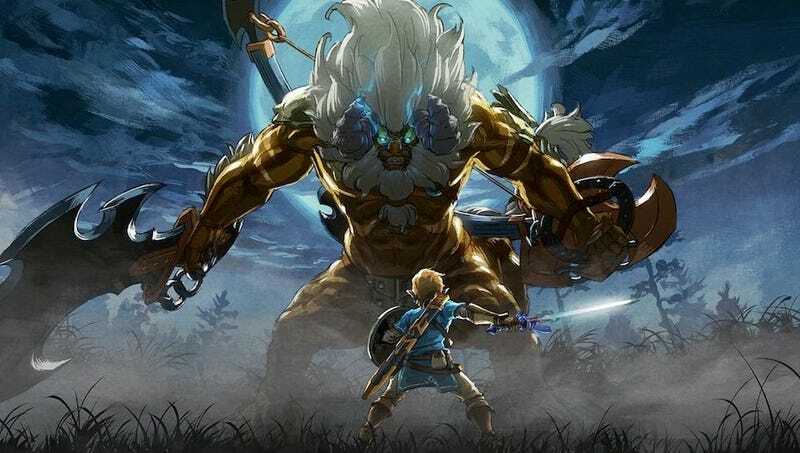 Breath of the Wild’s difficult Master Mode makes monsters tougher and the world much more dangerous than before. For speedrunners attempting to complete the game quickly, this provides new challenges and opportunities. Different speedrunning routes try to complete various challenges. Two popular categories in Breath of the Wild are Any%, which seeks to beat the game as fast as possible, and All Main Quests, a run that finishes the main questlines and dungeons before completing the game. With the arrival of Master Mode, these routes have seen some changes for those who want to complete it on the higher difficulty. These changes are not radical but they show how even small tweaks can add extra time to a run. The fastest normal Any% time is a 39:25. Master Mode’s Any% route is still quick but tougher enemies have pushed its record to 45 minutes and 20 seconds. One of the largest contributing factor is how much harder it is for Link to damage enemy monsters. Thanks to their beefier health pools, the run loses extra time in Hyrule Castle as it takes time to gather weapons for the fight against Ganon. In normal runs, a single sneak attack with the right weapon can kill an enemy, but in Master Mode it can take upwards of four strikes. Additionally, Link needs to get even more weapons to deal with Ganon’s beefier health. A potential change from normal mode might be extensive use of lightning arrows, allowing runners to shock foes and pick up their weapons immediately. However, it can be difficult to get these arrows from crates or amiibo chests, which means it might be some time before we see runners blasting zapping moblins left and right. One of Any% most curious changes comes during the fight with Calamity Ganon. After he sustains enough damages, Ganon enters a phase where we can only be hurt with parries or well times flurry rushes. In normal runs, it is possible to lock him in a damage loop by breaking his shield and ending a spin attack at the right time. This trick was removed for Master Mode. Instead, runners must now use a trickier stunlock set up to best Ganon. It involves parrying a body slam, dodging and countering one attack, and firing ancient arrows. It’s an interesting example of a developers leaving an exploit in a lower difficulty while removing it in another. In the All Main Quests route, changes from Master Mode and the downloadable content have left the higher difficulty run nearly fifteen minutes slower than normal runs. The current world record is a 3:38:31 by Narcissa Wright. Among the largest potential time losses is a nearly 45 second cutscene after retrieving the Master Sword added as part of the Hero Trials. All Main Quests is a longer speedrun than Any%, which exacerbates the issues that run faced by offering more enemies and tasks. Master Mode and further DLC affect movement options as well. A potential timesaver allowing runners to launch themselves towards one of the game’s first shrines is complicated by the presence of a Lynel on the starting plateau. Meanwhile, a different launch takes advantage of a chest that is only present with the DLC downloaded in order to fly over a canyon. Determining which tricks are worth using and which can be ignore has been an important part of Master Mode routing. Any yet, in spite of accumulating time, Master Mode runs don’t drastically vary from their normal counterparts. The differences might add up to affect time but runners don’t seem too daunted. They know there’s plenty of time to find the best new tricks.